Outdoor Skating rink opens Saturday Feb. 18 and will be open until Feb. 26. FREE admission, check the schedule HERE. The zipline will open February 18, 19, 25, 26 from 10am - 5pm. Donations will be accepted by the local chapter of Kidsport February 18 & 19 and Loaves and Fishes Food Bank February 25 & 26. In less than two weeks, Rogers Hometown Hockey will arrive in Nanaimo and we need your help giving them a warm welcome to the Harbour City! Ron MacLean and Tara Slone are travelling coast-to-coast, making 24 stops in various communities across Canada. Nanaimo is one of the lucky ones this year, getting the opportunity to celebrate our love of hockey with several events leading up to their visit. Paint the Town Red - This tradition started last year as a way to welcome the tour to each host city. Decorate your store displays and front doors, put posters in your windows, hang Canada flags, put those red Christmas lights back up or whatever other fun ideas you come up with to welcome the tour. In honour of Paint the Town Red, the Italian fountain (in front of Port Place Mall) and the HBC Bastion will have red lights shining until the end of the month. Jersey Day - Mayor McKay will sign a proclamation on February 17 declaring February 24 to be Jersey Day! Wear your team jersey to celebrate hockey in Canada while you participate in the many events happening in Nanaimo in celebration of the tour stop. Cheer Like Never Before Contest - Upload a video of your hockey team's cheer to win big with Rogers Hometown Hockey. The top five teams with the most votes on the Hometown Hockey website will be invited to take part in the festivities when the tour visits Nanaimo. The winning team will be in the running to win the ultimate NHL experience including a playoff viewing party hosted by a surprise NHL Alumni. 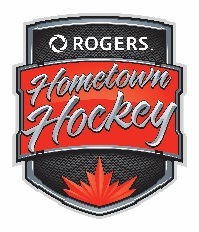 Many groups have come together to offer a list of events happening throughout the city to celebrate Rogers Hometown Hockey, including an outdoor skating rink, zipline over Swy-A-Lana Lagoon, a ball hockey tournament downtown, and more. For a full list of events please visit the link below.